Take your students places they’ve only dreamed of with robust, immersive virtual reality experiences to astound, amaze, and EDUCATE in ways never before possible. Virtual Reality (VR) technology and accessibility has exploded and is now the #1 technology in K-12 education as technology and content evolve to provide even more amazing learning opportunities. 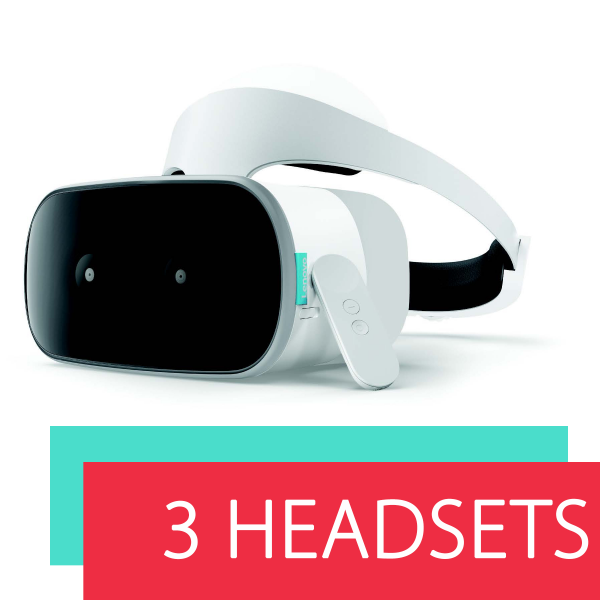 Lenovo’s VR Classroom is the first, all-in-one, ergonomically optimized, high-performance virtual reality classroom system including the tools, content, and processes to provide effective, hands-on learning that takes students places they’ve never gone before! The Entire Daydream Experience at your Disposal– Daydream app store has hundreds more edu apps!